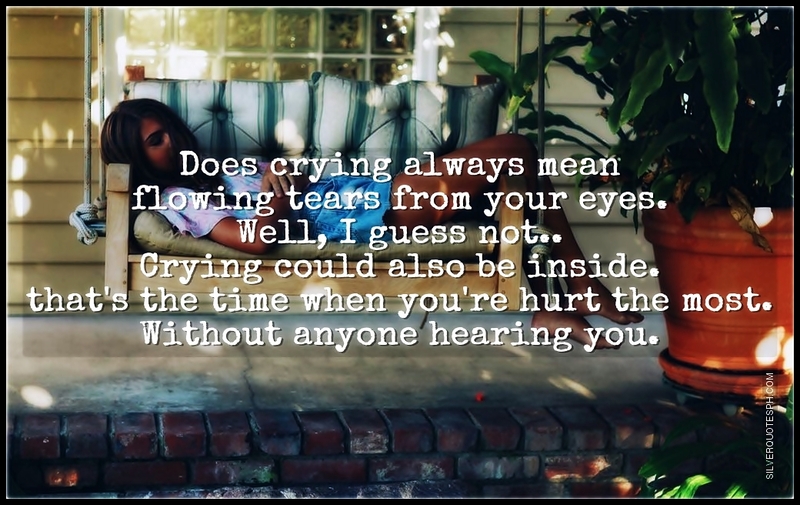 Does crying always mean flowing tears from your eyes. Well, I guess not.. Crying could also be inside. that's the time when you're hurt the most. Without anyone hearing you.